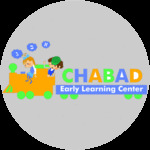 Our Chesed Committee is a cornerstone of the Chabad ELC community, helping those families who have had a new baby or lost a loved one, or are in need of any kind of assistance, by providing home-cooked meals, babysitters, or whatever else is needed. every time a family needs a meal, only when you can. Please consider participating in this important mitzvah.